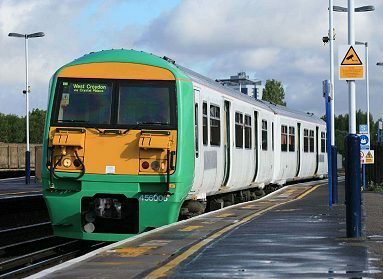 Never one of the most popular of third rail units the class 456 has of late become the Cinderella of 's fleet with faded Network SouthEast exterior paintwork and careworn interiors. So it is not before time that the units have been receiving attention, in this case in two stages. 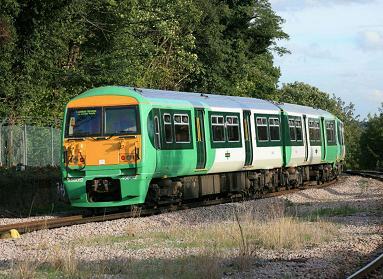 Units are undergoing a C6 overhaul and attention to corrosion at Wolverton and an interior refresh at Selhurst. 456006 was, on 18th March 2005, the first unit to go to Wolverton and it was there exactly 18 months before returning south. 6006 emerged in base white livery with dark green doors and light green ends and the full application of livery will be completed at Selhurst. 456002 was, on 12th June 2006, the second unit to go to Wolverton and it returned on 1st November. 456012 went to Wolverton on 5th August, overtaking 6002 because it returned south in early October. 456014 left for Wolverton on 1st November. Separately 456 units had been receiving much needed interior "refreshing" at Selhurst. So far units 6002/3/16/17/21/28 are believed to be refreshed.